live the good lifeat Grizzly Ridge at Big White. at Grizzly Ridge at Big White. 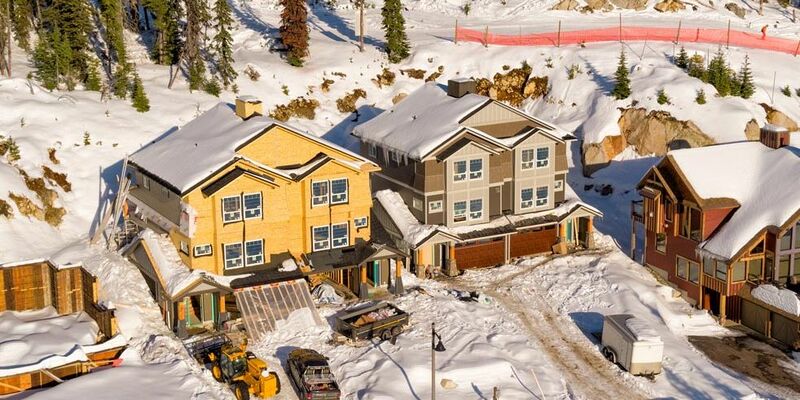 Captivating and very timely, these gorgeous new ski in-ski out town homes are sure to please and offer you a rare opportunity to own a brand new, fully warranted, semi-detached home at Big White. Professionally coordinated and appointed inside and out these 2000 plus sq ft designs offer three spacious bedrooms, three baths, and triple car garages that will address the needs and wants of the most discerning buyer. The tremendous value is underscored by the turnkey (appliances and GST incl) price of $685,000. Optional upgrades available include a hottub package, a furniture package, and a fourth bedroom. The perfect place to call home after a day on the slopes.